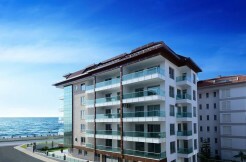 Consultancy and Advice | Your real estate agent in Turkey.Rent Apartment in Alanya. BUY HOME TURKEY Translation Consultancy has been established by experienced translators and consultants by 2009 in Alanya. We are serving our clients with wide career opportunities of our office in any place we are asked. This means our translators and consultants serve our clients in a fast and quality way. Four sworn translators who serves in Dutch, German, English and Russian languages are employed in Shan Holding Translation & Consultancy office. 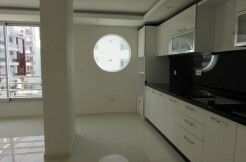 They also serve to clients whom speaks their languages as consultant. For example oral (simultaneous) translation by the Notaries, Passport or driving license translation, all official municipal documents and written translations by the Notary what be should to be legalized. Translate documents about construction and shipbuilding, Telecomunications and all kinds of translations. Laws and rules translations, translations of legal documents and reports from experts and verbal (simultaneous) translation with a lawyer or by the court. Journals and magazines translations, web site translations, advertisement, brochure or catalog and written translation and spoken all translations.And then you can always get advice from our experienced consultants if you want to target a business, motor vehicle purchase, insurance policies, finding a lawyer, renewal of your passport, residence permit, Tapu (title deed) Iskan applications, water and electricity abonment on your name and any possible services you could need.